Leading Exporter of multilayer circular screen, circular screens, universal screen, stone crusher screen, fertilizer screen and dehydration screen from Mumbai. We are counted amongst as the foremost manufacturer and exporter of the best quality range of Multilayer Circular Screen. Filter cloth packs are used in filtration of polyester film plants and in lamination & multilayer film plants. 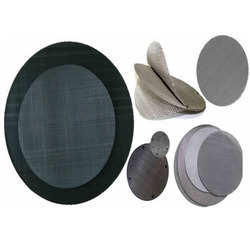 We offer the Circular Screens. 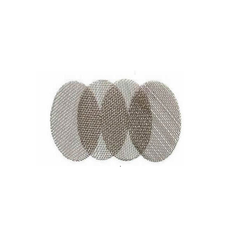 We are equipped with specialized cutting dies and tools for high precision output that develops an extensive range of ready to use Stainless Steel woven wire mesh filters (Extruder Screens) with 304 L grade in the wide range of sizes. These specialized products are developed specially for Plastic and Rubber Extrusion Industries. 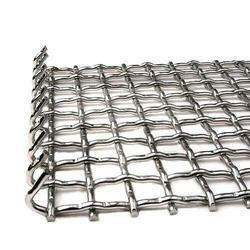 Stainless Steel Wire mesh screens in plain weave in a wide variety of shapes and sizes are available that saves operator's time in filling these screens. These screens can also be used in pet recycling, BOPP film plants, and non-woven fabric plants. We are the manufacturer of Universal Screen. We are the manufacturer of Fertilizer Screen. 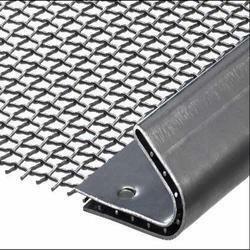 We are the manufacturer of Dehydration Screen.